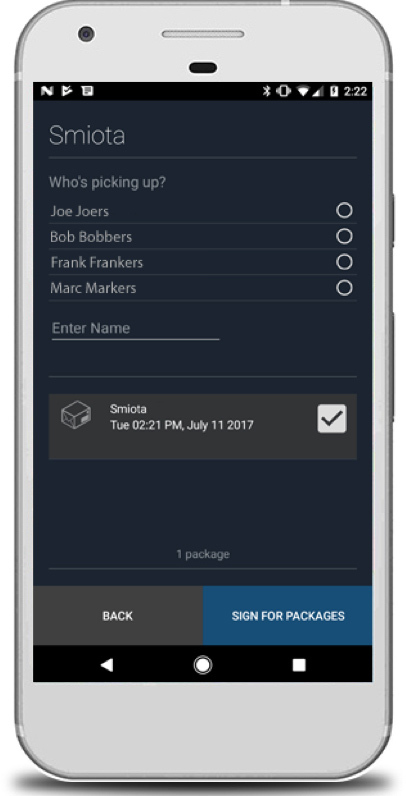 Smiota's enterprise class Mailroom Software can turn any size room into a secure package delivery center. All you need is a smartphone and active subscription. 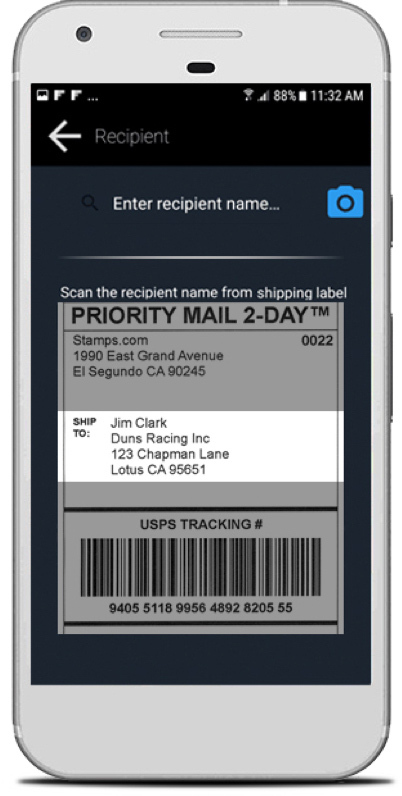 When a package comes in, just open up your smartphone and scan the recipient’s name and tracking barcode. Smiota Mailroom takes care of the rest in less than five seconds. No more recording deliveries manually! Did one of your residents go a little nuts on Cyber Monday? 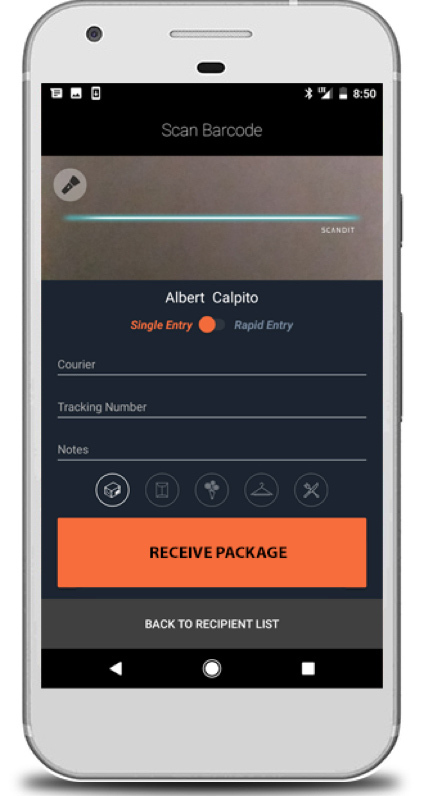 Using rapid entry mode, you can enter their name just once and quickly scan all of their packages in a fraction of the time it’d take you to record every one individually. Smiota Mailroom takes all the guesswork out of package delivery. It provides a complete chain of custody, including recipient signature. If a resident isn’t available to pick up their package, they can delegate someone else pick it up for them, and Smiota mailroom will track the entire transaction. 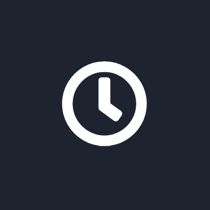 U.S. based customer support team available 24/7 to exceed Service Level Agreement (SLA) targets. Enterprise class mailroom software capable of handling any size mailroom. 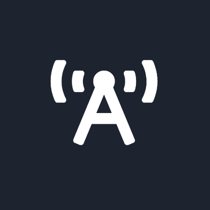 Hub + spoke routing capabilities and role based user security features. 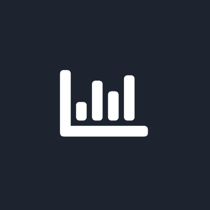 Best in class reporting and predictive analytics to maximize mailroom efficiency and track complete chain of custody.